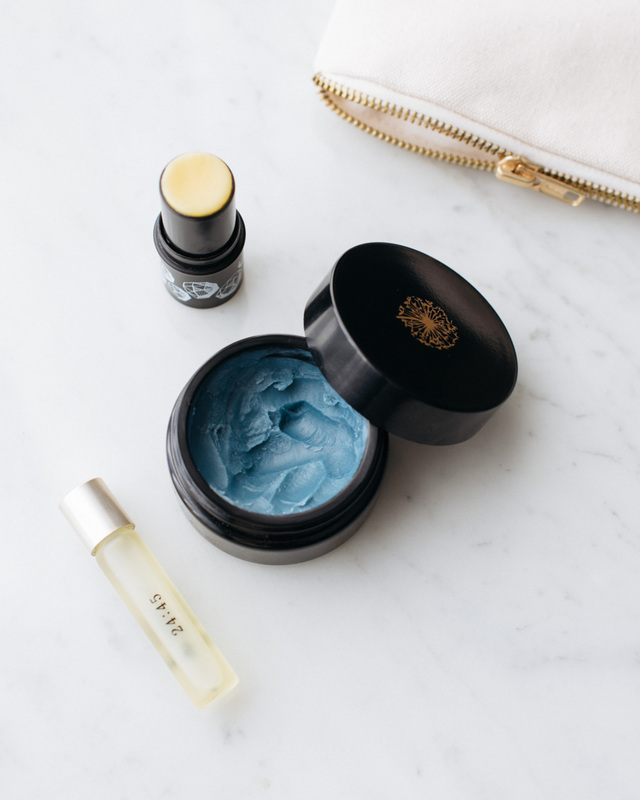 May Lindstrom’s ‘Blue Cocoon’ beauty balm is my comfort product. The intense scent of blue tansy makes me feel secure. Uka cuticle oil doubles as a subtle perfume. The beeswax based balm by Absolution nourishes dry lips, elbows, knees and heels. None of these contain water. 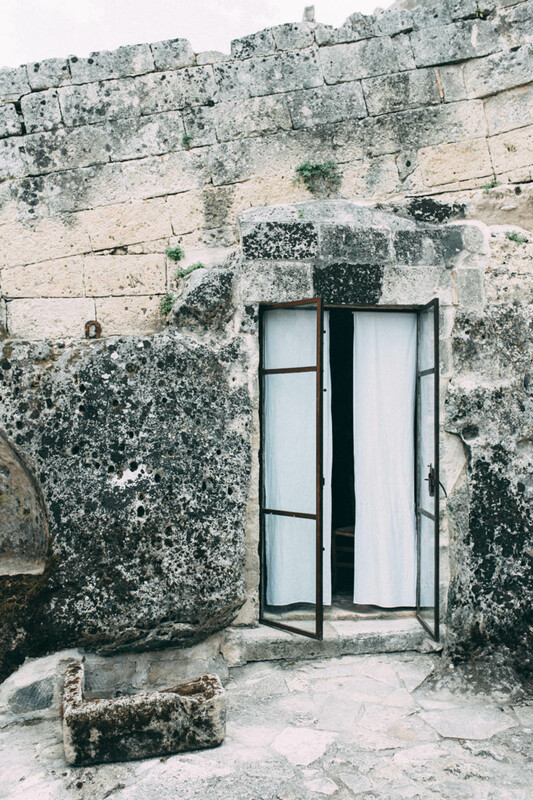 Heading in for a beauty nap in Matera, Italy, June 2016. Traveling light is a luxury, in life and when literally exploring new places. Learning to keep the weight and size of my bag reasonable has lead to a groundbreaking discovery: at the essence of smart packing is limiting cosmetics, or more precisely, water. I try to carry with me as little water as possible: water based cleansing products, lotions, shampoos etc. A cleansing product in powder form weights nothing if you pack it in a small container. Oils and oil based balms come in small packages and when you apply them on moist, warm skin you need a tiny amount at a time. You can also use oil for cleansing so you do not always need separate cleansing and moisturizing products. My beauty practice relies on mostly wild-harvested and organic ingredients, but I do not feel uncomfortable washing my hair with hotel shampoo. These days it is almost always good quality and paraben free, such as Aesop, or Ren. Same goes with shower gels and body lotion. This summer, my main beauty theme has been going without makeup. Not because I feel so glamorous and naturally perfect – but quite the contrary. You have to let go of this ridiculous, unnecessary thought that you are somehow flawed with this skin condition. Your body is vital and the only thing that stresses it out is this chronic worry or fear of not being perfect. That is what you should work on. Trying to be carefree and not to cling on the idea of being less than I would be with flawless skin. Also trying not to cling on any specific product that is the only thing that keeps my face somewhat decent-looking. Instead, trying to enjoy the process of growing, and finding comfort in the uncomfortable. In other words, trying to like myself (even though it would be so much easier if I was perfect.) Ha.